In the end, it was the home fans that were celebrating with Galatasaray clinching their first European title. This has taken 105 years and you could tell the Turkish fans were in a mood to celebrate at the end of their 78-67 victory over the French side Strasbourg. In the end, the hosts triumphed by 7 points over the two legs but there was late drama to seal the win. In the final minute of the second game, Galatasaray were only ahead on aggregate by 2 points, so there was everything to play for. The trophy was in the balance but the Turkish side managed to grab the last 5 points of the evening, giving themselves a margin of error and allowing their fans to breathe out. The MVP for the Eurocup Finals was Stephane Lasme and with a double-double on the big occasion, this was a very fitting reward. Lasme managed to pick up 16 points and 10 rebounds while Errick McCollum also managed to offer up 16 points in a pulsating clash. Sinan Guler offered up 14 points while Blake Schilb provided 11 points. For the French side, Mardy Collins offered up 16 points while Louis Campbell notched 10 points in the loss. 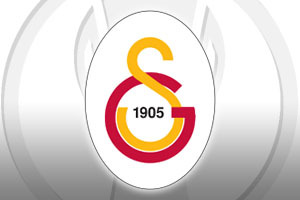 Galatasaray managed to grab the first 6 points of the evening, wiping out the French side’s aggregate lead, the aggregate score being 68-66 to Galatasaray at this point, which meant that the rest of the evening was a straight fight for the crown. As you’d expect, Strasbourg battled back, pushing the hosts close at various points of the evening but there was never really a moment when you felt the French side were in control of the tie. The aggregate score looked positive at times but with the home crowd backing, the side from Istanbul always looked to have another level to go to if they needed to. In the final quarter, they needed this other level but they obtained it, and the celebrations are probably still going on amongst the Galatasaray fans in Istanbul, Turkey and around the world. With Galatasaray being the first Turkish winners of the Eurocup, it was a triumph the whole nation could get behind.